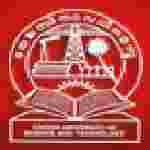 CUSAT recruitment 2018 notification has been released on official website www.cusat.ac.in for the recruitment of 02 (Two) Programmer vacancies. Job seekers should apply on or 20th January 2018. Here on this page you will get the details like the Name of vacancies released by CUSAT with exact number of posts. Some other criteria like Education details, application fee and way to apply application for CUSAT recruitment 2018. Educational Qualification: B.Tech in Computer Science and Engineering/ Information Technology with first class or MCA with first class. Fee charges: Applicants who wanted to participate for CUSAT should pay the below charges through Demand Draft drawn in favour of the Registrar, Cochin University of Science and Technology payable at SBT, Cochin University of Science and Technology Branch or by direct remittance at the cash counter of Cochin University of Science and Technology. Interested and eligible aspirants may apply Online through the website www.faculty.cusat.ac.in on or before 20.01.2018. And hard copy of application form along with photocopies of relevant documents, experience certificate, application fee & superscription on the envelope “Application for the post of (Name of post) on contract basis in the Division of __________, School of Engineering” send to Project Coordinator, e-Governance Project, Administrative Office, Cochin University of Science and Technology, Kochi-22” on or before 20.01.2018.